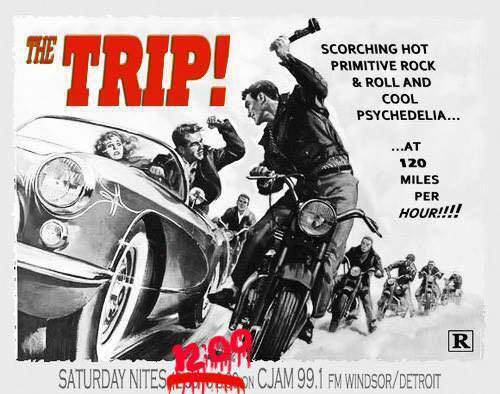 CJAM 99.1 FM Schedule - The Trip! Hosts Ken & Vlad take your ears, spirit, and mind on an electric joyride outside the boundaries of Squaresville! Hop on a late-night sonic highway with bold, adventurous sounds and stories from vintage primitive rock & roll, blues, garage, punk, and even Krautrock - to name a few. Climb in and hang on! 12:00 AM-1:30 AM Saturday night // Sunday morning.